Old East Norse would have said dansk tunga). 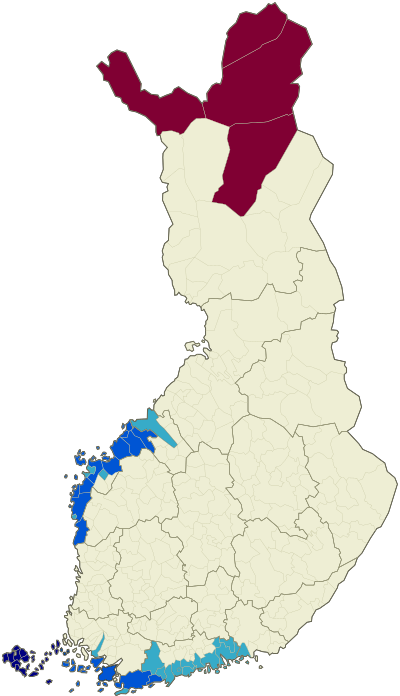 Another term, used especially commonly with reference to West Norse, was norrænt mál ("Nordic/Northern speech"). 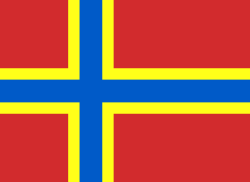 Today Old Norse has developed into the modern North Germanic languages Icelandic, Faroese, Norwegian, Danish, and Swedish, of which Norwegian, Danish and Swedish retain considerable mutual intelligibility. Unicode characters. For an introductory guide on IPA symbols, see Help:IPA. Old Norse had nasalized versions of all nine vowel places. [V 1] These occurred as allophones of the vowels before nasal consonants and in places where a nasal had followed it in an older form of the word, before it was absorbed into a neighboring sound. If the nasal was absorbed by a stressed vowel, it would also lengthen the vowel. These nasalizations also occurred in the other Germanic languages, but were not retained long. They were noted in the First Grammatical Treatise, and otherwise might have remained unknown. The First Grammarian marked these with a dot above the letter. [V 1] This notation did not catch on, and would soon be obsolete. Nasal and oral vowels probably merged around the 11th century in most of Old East Norse. 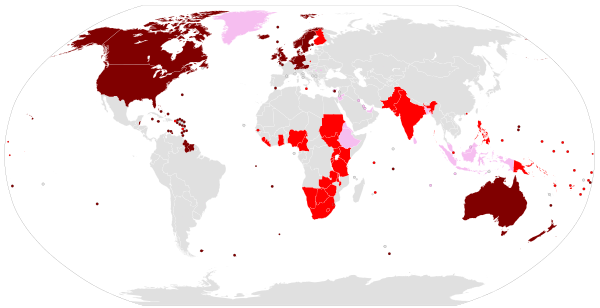 :3 However, the distinction still holds in Dalecarlian dialects. :4 The dots in the following vowel table separate the oral from nasal phonemes. Ṽ Ṽ Ṽ Ṽ lost komȧ < *kwemaną "to come, arrive"; OWN vėtr/vėttr < vintr < *wintruz "winter"
Proto-Germanic /z/ and eventually developed into /r/, as it already had done in Old West Norse. Móðir Dyggva var Drótt, dóttir Danps konungs, sonar Rígs er fyrstr var konungr kallaðr á danska tungu. Dyggvi's mother was Drott, the daughter of king Danp, Ríg's son, who was the first to be called king in the Danish tongue. ...stirt var honum norrœnt mál, ok kylfdi mᴊǫk til orðanna, ok hǫfðu margir menn þat mᴊǫk at spotti. ...the Norse language was hard for him, and he often fumbled for words, which amused people greatly. Old Norse orthography The following text is from Alexanders saga, an Alexander romance. The manuscript, AM 519 a 4to, is dated c. 1280. 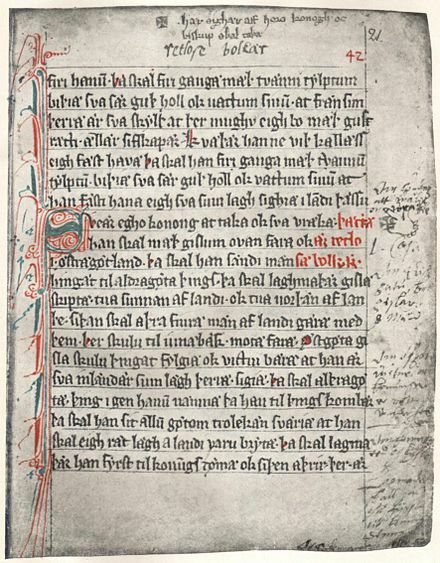 The facsimile demonstrates the sigla used by scribes to write Old Norse. Many of these were borrowed from Latin. Without familiarity with these abbreviations, the facsimile will be unreadable to many. In addition, reading the manuscript itself requires familiarity with the letterforms of the native script. The abbreviations are expanded in a version with normalized spelling like the standard normalization system's. Comparing this to the spelling of the same text in Modern Icelandic shows that, while pronunciation has changed greatly, spelling has changed little. Rök Runestone in Östergötland, Sweden, is the longest surviving source of early Old East Norse. It is inscribed on both sides. 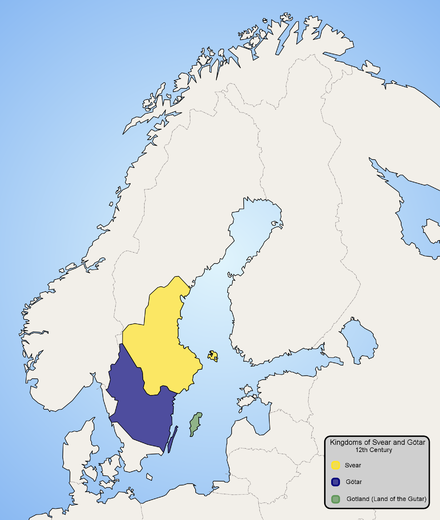 Old Swedish as a distinct dialect. Dræpær maþar svænskan man eller smalenskæn, innan konongsrikis man, eigh væstgøskan, bøte firi atta ørtogher ok þrettan markær ok ænga ætar bot. [...] Dræpar maþær danskan man allæ noræn man, bøte niv markum. Dræpær maþær vtlænskan man, eigh ma frid flyia or landi sinu oc j æth hans. Dræpær maþær vtlænskæn prest, bøte sva mykit firi sum hærlænskan man. Præstær skal i bondalaghum væræ. Varþær suþærman dræpin ællær ænskær maþær, ta skal bøta firi marchum fiurum þem sakinæ søkir, ok tvar marchar konongi. If someone slays a Swede or a Smålander, a man from the kingdom, but not a West Geat, he will pay eight örtugar (20-pence coins) and thirteen marks, but no weregild. [...] If someone slays a Dane or a Norwegian, he will pay nine marks. If someone slays a foreigner, he shall not be banished and have to flee to his clan. If someone slays a foreign priest, he will pay as much as for a fellow countryman. A priest counts as a freeman. If a Southerner is slain or an Englishman, he shall pay four marks to the plaintiff and two marks to the king. 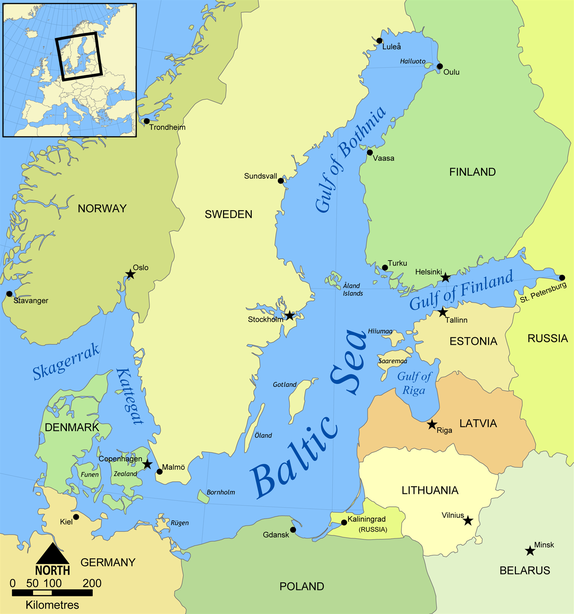 Baltic Sea was under Swedish control) and likewise for everyone who wanted to travel to Gotland. 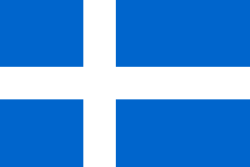 Old Norse /a aː i iː/ became Icelandic /a au ɪ i/, all of which can occur allophonically short or long. 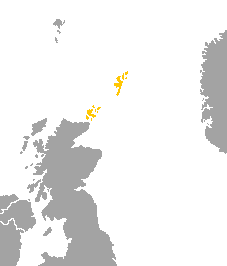 In the mainland Scandinavian languages, double consonants were reduced to single consonants, making the new vowel length phonemic. ^ a b c d e f g h i When not followed by a consonant. ^ a b ⟨o⟩ or (before /r/) ⟨ø⟩ in some isolated words, but the tendency was to restore ⟨a⟩. ^ When un-umlauted */u/ is still present elsewhere in the paradigm. Gutasaga §§ 4–5. ^ O'Donoghue 190–201; Lass 187–188. ^ a b Helfenstein, James (1870). 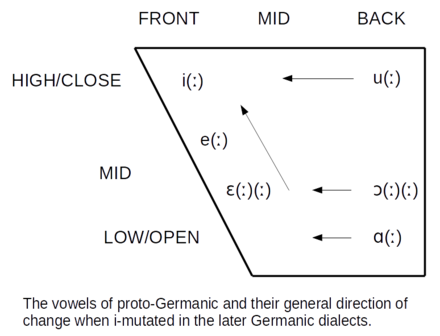 A Comparative Grammar of the Teutonic Languages: Being at the Same Time a Historical Grammar of the English Language. London: MacMillan and Co.
Old Norse (Working Papers in Scandinavian Syntax Number 62. 1998) "WPSS". Norms.uit.no. Retrieved 2010-05-02. Haugen, Einar (1950). "First Grammatical Treatise. The Earliest Germanic Phonology". Language. 26 (4): 4–64. doi:10.2307/522272. JSTOR 522272. Iversen, Ragnvald. Norrøn Grammatikk, Aschehoug & Co., Oslo, 1961. Lass, Roger. Old English: A Historical Linguistic Companion. Cambridge: Cambridge University Press, (1993). Old Norse New York: Oxford University Press, (2004). Old Norse language category of words in Wiktionary, the free dictionary.